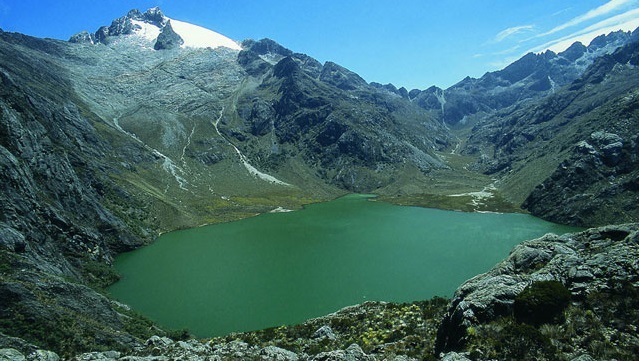 The Andes mountain range is one of the world’s most wondrous spectacles. It is the longest continental mountain range in the world stretching the entire west coast of South America for 4,500 miles or 7,242 kilometres and spanning seven countries – Argentina, Chile, Bolivia, Peru, Ecuador, Colombia and Venezuela. The range has the highest mountains on the planet, outside of the Himalayas, the tallest of which is Aconcagua in Argentina (6,962m), plus over 50 volcanos reaching 6,000 metres, including the world’s highest, Ojos del Salado (6,893m). Filled with glaciers, lakes, ski fields, the ruins of lost civilisations, thriving cities and indigenous communities amongst other things, these mountains truly are a special place. Our small claim to fame in all of this was travelling the whole length of this incredible range in just over 8 months – from the city of Ushuaia at the ‘world’s end’ in the south of Patagonia, to the city of Merida in the north of hot blooded Venezuela. Travelling for us is a journey – it doesn’t always matter where you’ve come from or where you’re going to, often the most important part is the experiences you gather along the way. 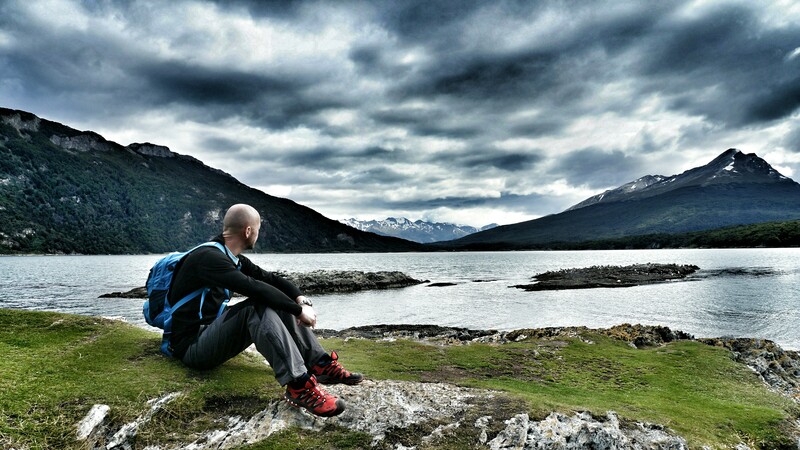 However, as we arrived into the mountain city of Merida, at one end of the Andes, we couldn’t help but reflect on where it all began, the isolated city of Ushuaia, at the other end of the range – and compare the two. The climate in these cities is quite different. 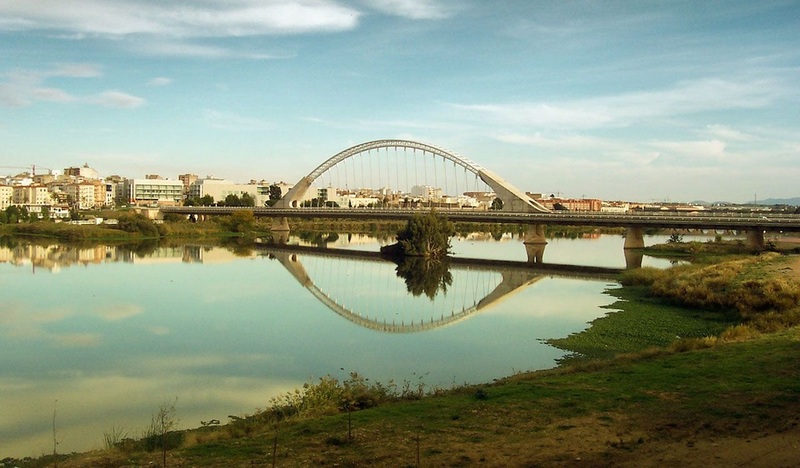 Merida has a tropical climate and has stable warm temperatures during the year, averaging around 22 degrees. Many Venezuelans holiday here as the climate is so good and to escape the scorching lowland heat. Merida can receive heavy rains between April to November but it receives more sunshine that most cities in the Colombian Andes. 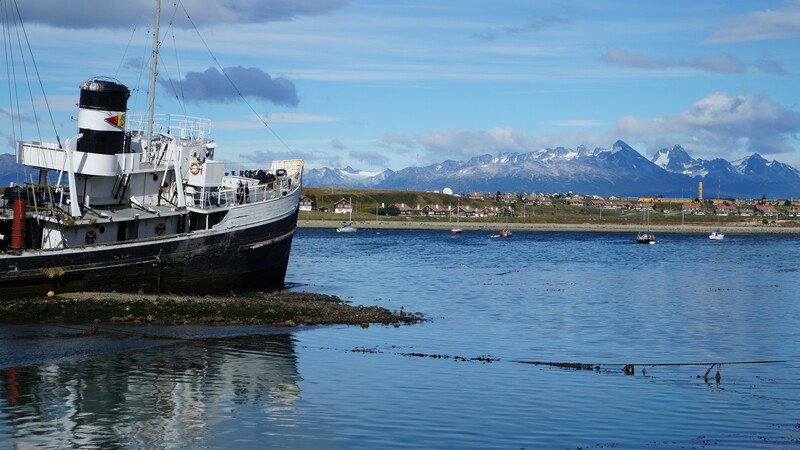 Ushuaia, by contrast, has a sub-polar oceanic climate with short summers (November-March) and longer winters where temperatures hover around zero degrees with frequent snow, sleet and rain showers. Most visitors plan their trip to coincide with summer and are rewarded with long light evenings until around 9pm and roughly 12 degrees during the day. 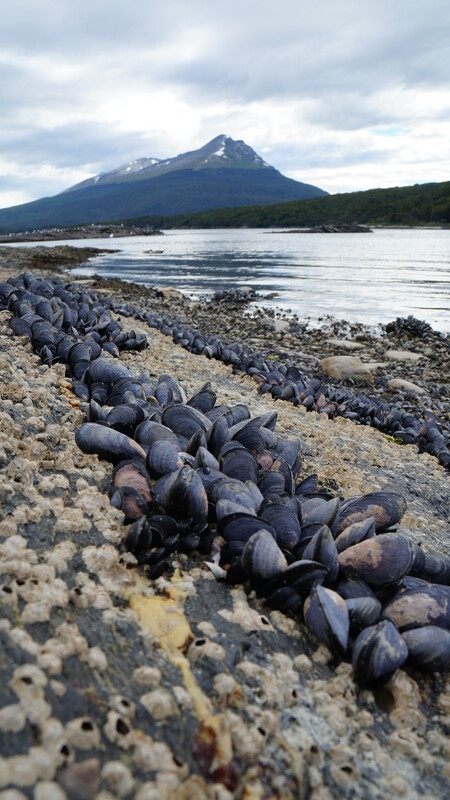 When we were there in March Ushuaia was experiencing a heat wave of a balmy 15 degrees and no wind. Talking of winds, they can be ferocious here as they blow in from Cape Horn, where the Atlantic and Pacific Oceans collide. Mostly shrubs and wiry bushes grow in the countryside but those trees that do spring up are literally bent double and lovingly called flag trees by the locals. Merida is a laid back, friendly and sophisticated university city. 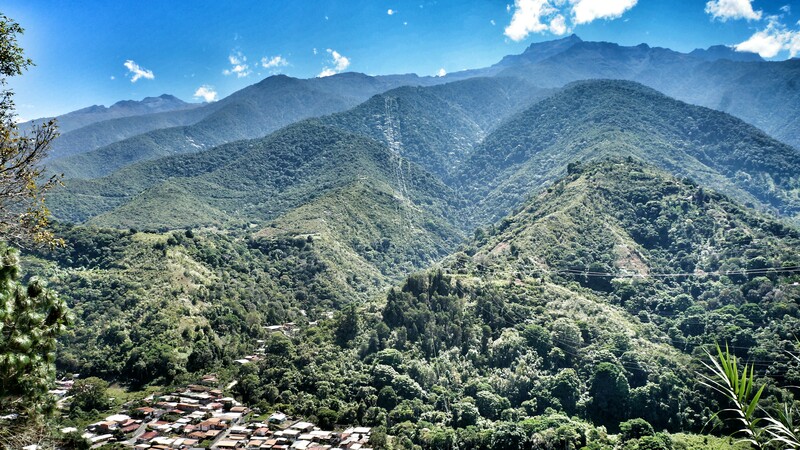 Merida is a regular stop on the backpacker trail due to its access to many attractions nearby but it often seduces people to stay longer than they planned. Venezuelan holiday makers and students keep Merida feeling youthful and energised. There is a huge emphasis on the outdoors and numerous tour agencies offering endless number of activities. The city centre is compact and the grid-based system is easy to navigate – with plenty of good shopping and regular bustling markets to explore. 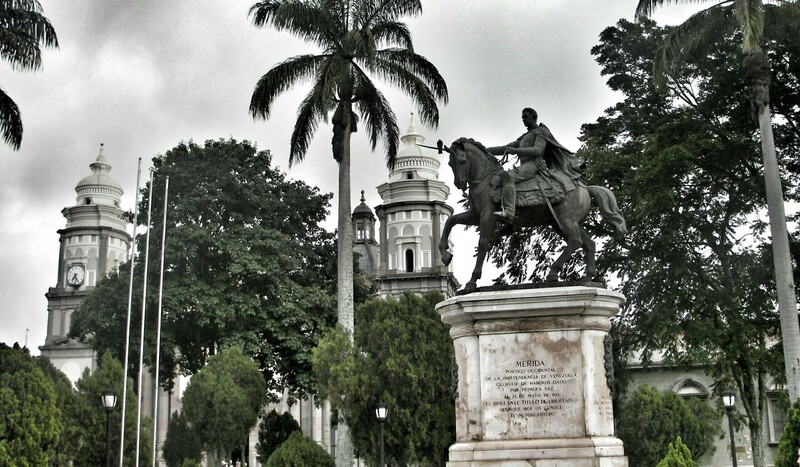 Unlike several of the big Venezuelan cities, Merida is safe to walk around and explore independently. We found that a gentlemanly courtesy and charm lingers in this mountain city so don’t be surprised when people hold doors open for you or when a car actually stops to let you across the road – almost unheard of throughout South America! 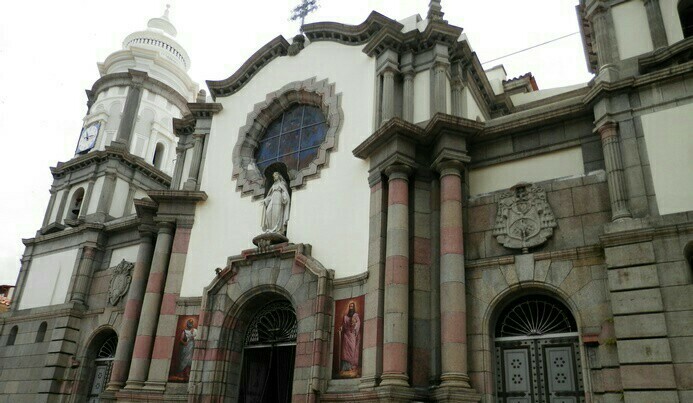 Merida is predominantly modern in design but some colonial architecture and numerous churches remain in the old centre and are best appreciated on leisurely strolls. There are noticeably fewer tourists than in other South American cities so it’s easy to meet and mingle with locals and get a real sense of every day life happening around you. Despite many national tensions we found the Venezuelans to be very animated, with a good sense of humour and an unfaltering desire to enjoy the good things in life. 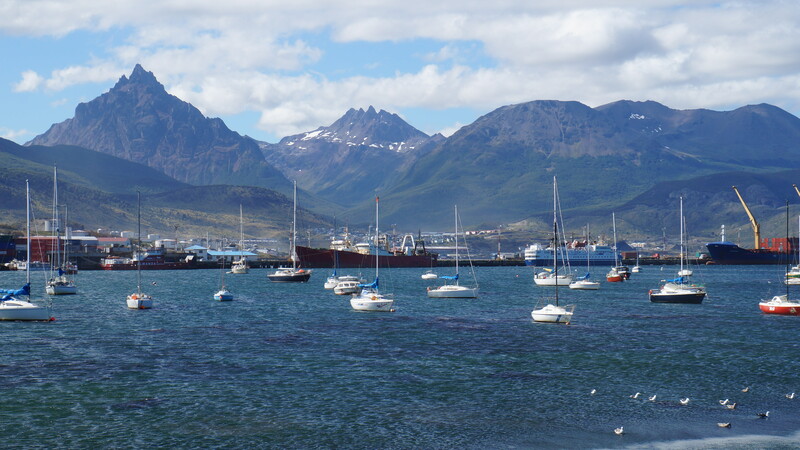 Ushuaia is known as the most southerly city in the world and it’s complete isolation and ruggedness offers a special kind of atmosphere. Many long distance motorcycling or driving journeys, some that have started in Alaska many months or even years before, finish here and travellers toast to their epic success. 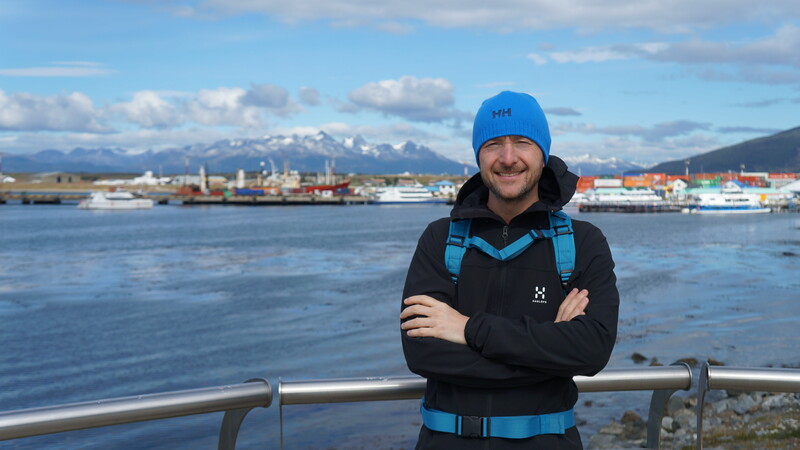 Independent, budget conscious backpackers brush shoulders with Antarctic cruisers and sports fanatics charge around the city gathering supplies for their next trek or kayak ride into the wilderness. The city has a bustling main street, with numerous cafes and eateries and a big touristy vibe but only the cold-hearted wouldn’t be won over by its natural beauty. Nestled beside the Beagle Channel and surrounded by jagged peaks sprinkled with snow, it’s a truly beautiful scene, especially when the sun is shining. We found many Argentinians have free, creative and entrepreneurial spirits. They love to travel, throughout their own country and all over South America. They can frequently be found selling hand made crafts and home baked food at markets or sitting with friends playing a musical instrument. Families are close and friends highly valued so it’s not unusual to see large groups gathering and greeting each other with kisses on the cheek. A bitter herb drink called ‘mate’ is drank everywhere in Argentina at all times of day and night. Locals carry hot water flasks and top up shared mugs from which the mate is drank through a metal straw. Argentinians also love to stay out late so don’t be surprised to find that as you’re heading home 10pm, they’re just going out! Both Venezuela and Argentina suffer from a devalued currency and soaring inflation rates. At first glance both of these countries seem pretty expensive when compared to their South American neighbours. Not quite European prices but perhaps higher than you’d expect to pay. That’s where the black market (or blue market in Argentina) for US dollars comes in. Locals are scared that their currency will crash and certainly don’t trust the banks with their money, so they seek to buy commodities such as cars, or TV’s which are stored away sometimes unused, or they seek to save US dollars under their mattress. In both countries the black market is illegal but very accessible to the savvy tourist who wants to live cheaply. This makes it possible to splurge on accommodation, treat yourself to a good sit down meal or try an activity that may have otherwise been prohibitively expensive. Rates vary in both countries. In Argentina, by using the blue market you can knock roughly 30% – 40% off costs, depending on your original currency. In Venezuela you can knock roughly 70% – 80% off costs, making Venezuela one of the cheapest countries in the whole of South America. In Argentina, US dollars can be exchanged with money changers on the street in many of the big cities – just listen out for people shouting “cambio, cambio”. In Buenos Aires the best place to do this is Avenida Florida and it’s difficult to take a few steps without someone asking if you want to change money. Rates vary so it’s best to have an idea and ask around. As a general rule, bigger notes – $50’s and $100’s will get a better rates than smaller. Also, a loop hole in the Argentinian law currently means that you can use a trustworthy online company called ‘Azimo‘ to send money from your home bank account to Argentina at the black market rate. You send your currency and pick up Argentinean pesos. Simply specify where you’d like to make the pick up from a list of cities/towns and after several days your cash arrives. 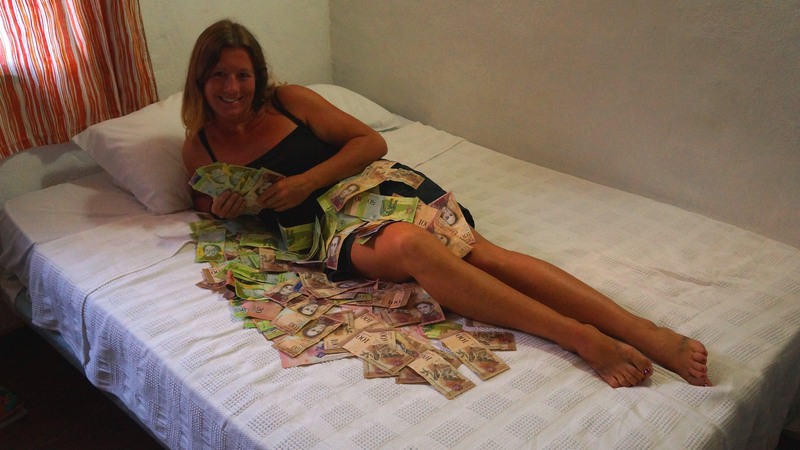 In Venezuela, ask in your guest house or hostel and usually a money changer will come to you. Keep in mind that for $1 USD you will receive around 50/60 Bolivars in return. It’s a balancing act to change up enough to keep you going for several days because even by changing a few hundred dollars you’ll receive a big wad of cash. Helpfully, many of the tour agencies offer payment to be made via bank transfer into bank accounts they hold in America and Europe so they can offer you the black market – in many cases quartering the price. 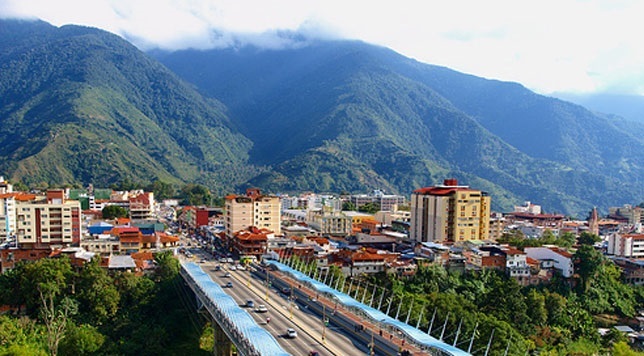 Merida is located in the heart of the mountains. Venezuela’s highest peak, Pico Bolivar (5007 metres) is just 12 kilometres away and the city boasts the highest and longest cable car system in the world. Unfortunately, it was closed for major construction work when we were there but is due to open again mid-2014 and would be a highlight of any trip here. Those who enjoy trekking in unspoilt mountain scenery will be spoilt for choice in Parque Nacional Sierra Neveda to the east of Merida. There’s a huge variety of scenery with cloud forests, moors, rocky mountain tops, waterfalls and lakes. Pico Bolivar and Pico Humboldt can also be climbed independently. There are some very pretty colonial villages along the way where life continues at an unhurried pace. A popular walk can be made from Loma Redonda to the picturesque village of Los Nevados at 2700 metres, where several small guest houses make a welcoming overnight stop before returning to the city the following day. 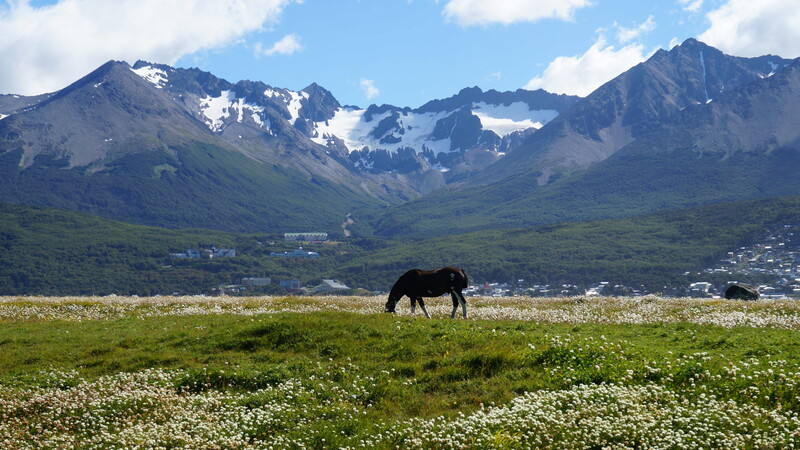 Ushuaia and the surrounding Tierra Del Feugo is a remote, untouched land filled with striking natural beauty. Craggy islands and scenic mountains are covered with an abundance of flora and fauna and contrast with blue seas and spectacular glaciers. 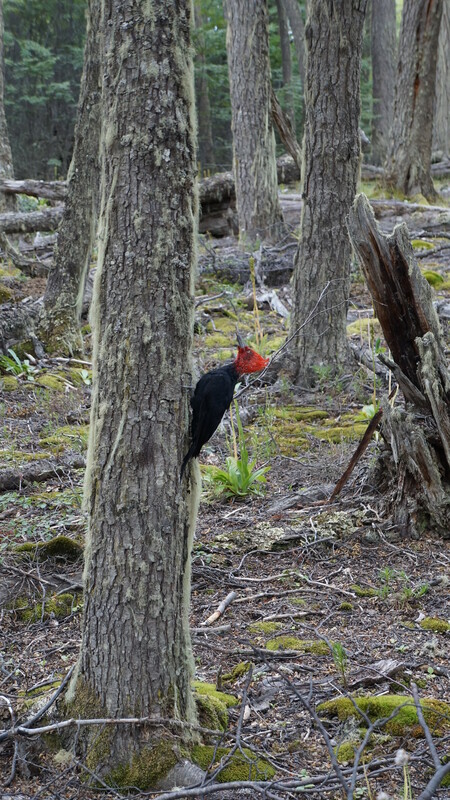 Dense native forest and deep fjords and channels are home to an array of wildlife. 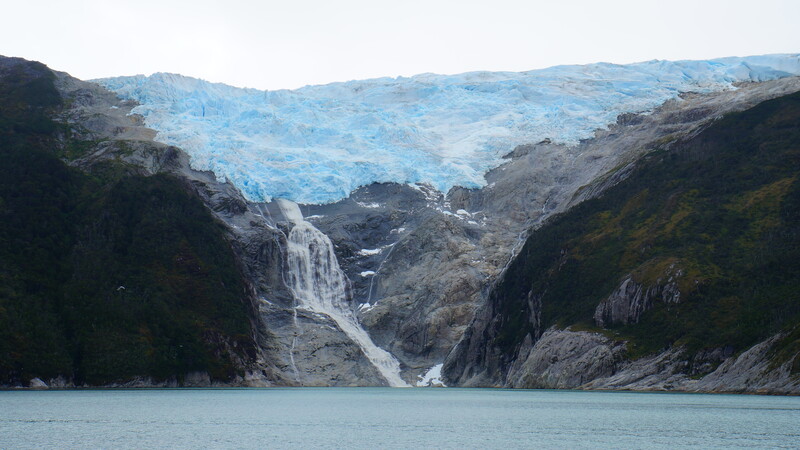 Ushuaia sits on the Beagle channel and a boat trip through its icy waters is truly awe inspiring. The landscapes are strikingly beautiful. As you sail through the fjords you can spot glaciers hanging straight down into the sea, snow capped mountains and lush forests. Seals, penguins and the occasional passing whale accompany the boats like they are auditioning to be your tour guide. 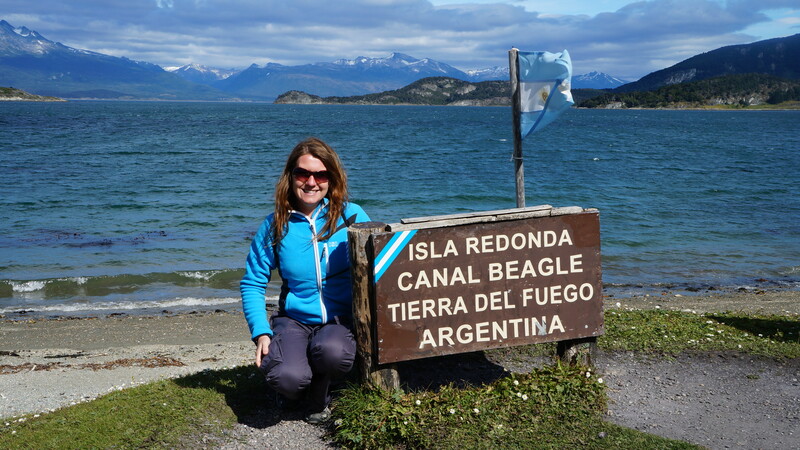 Check out our fantastic 2 day watery adventure on our Beagle Channel Cruise post. 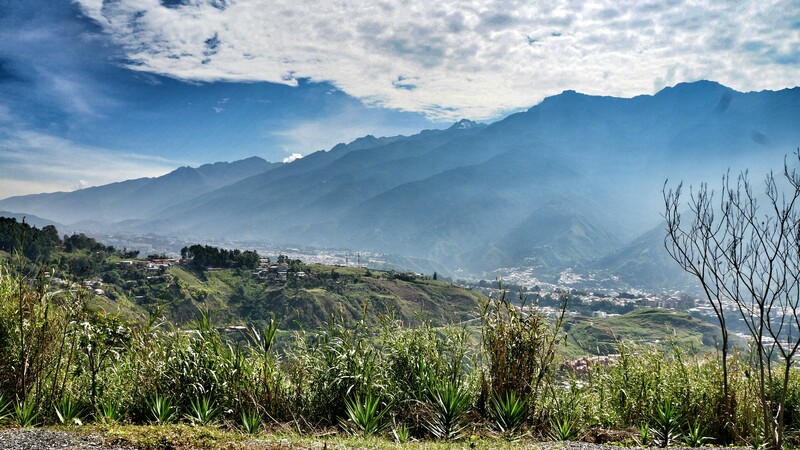 Merida is Venezuela’s sports capital and practically any activity can be arranged from here including mountain biking, rafting, canyoning, rock climbing and horse-riding. The streets around Parque las Heroines are filled with agencies who will put packages together for you at reasonable prices. 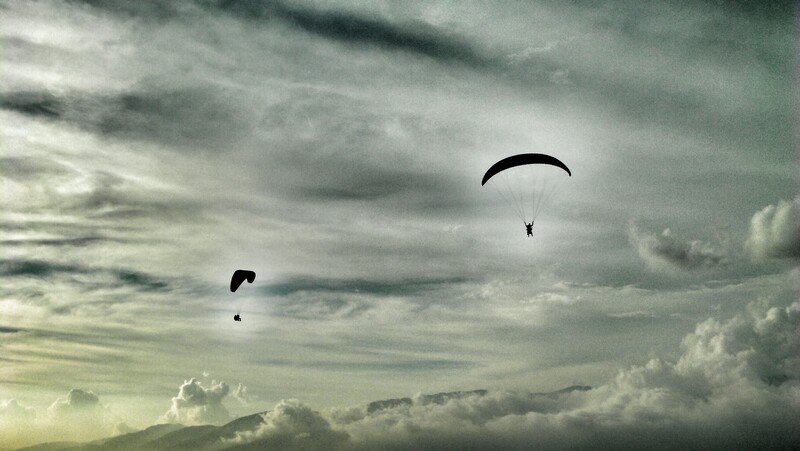 For those who have always dreamed about flying like a bird, Merida is home to some of the Continent’s best and cheapest paragliding schools, and our next post will tell you more about our attempt at this incredible sport. 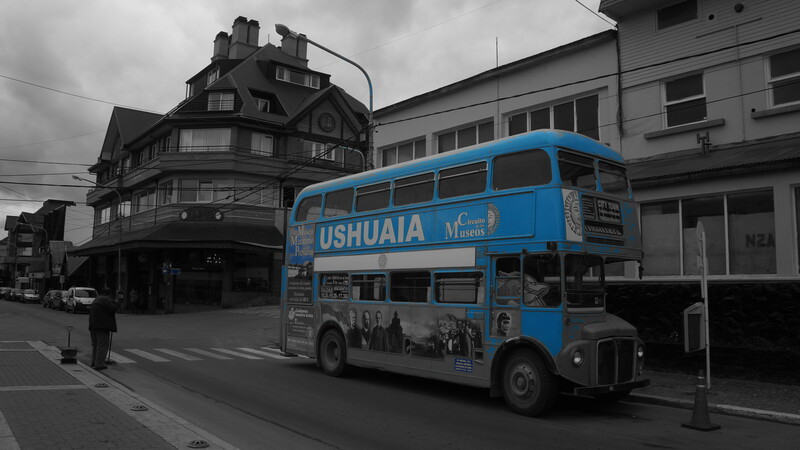 For thrill seekers and those hell-bent on adventure, the extraordinary effort it takes to reach Ushuaia, is simply a minor inconvenience and stepping stone to the endless outdoor activities that lie in wait. Wide open spaces are just waiting to be explored and it’s likely that you won’t see many other people along the way. The Compania de Guias has guides and organises trips for rock and ice climbing, kayaking, sailing and fishing. Ski season runs from June to October and several resorts dot the nearby mountains, with downhill and cross country options. At Altos del Valle it’s even possible to wrap up in furs and be pulled on sleds by Siberian Huskies. 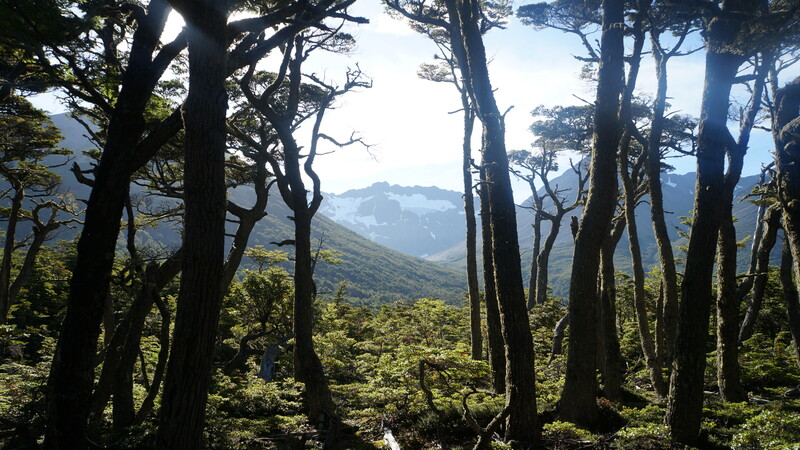 Tierra Del Fuego National Park is only 12 kilometres west of Ushuaia and can be reached using local mini buses that depart every 30 minutes from 8am to 8pm daily from the corner of Avenida Maipu and 25 de Mayo. 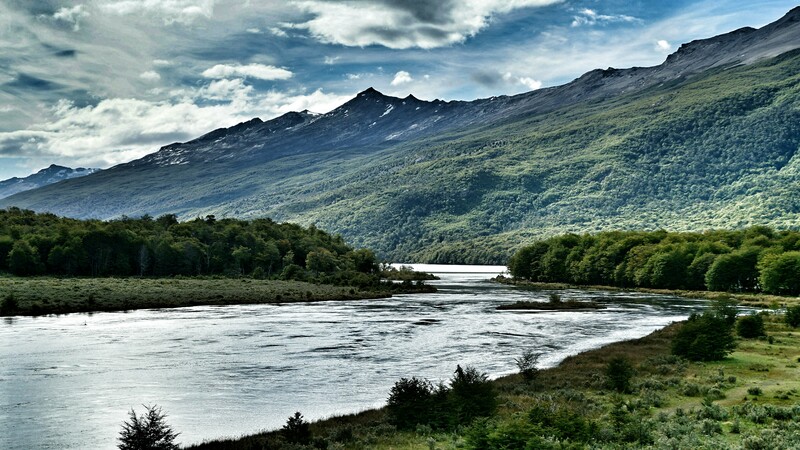 The park can be explored on a day trip from Ushuaia or you can camp in the park at Lago Roca if you have your own gear. There are several gorgeous coastal, river and woodland trails that are well-marked (if you can drag your eyes from the scenery!) and can be completed in 2-3 hours. Birdwatchers will be beside themselves with woodpeckers, cormorants, steamer ducks, oystercatchers, and even rare condors. It’s not uncommon to see penguins and seals leaping out of the water along the channels so keep your eyes peeled. 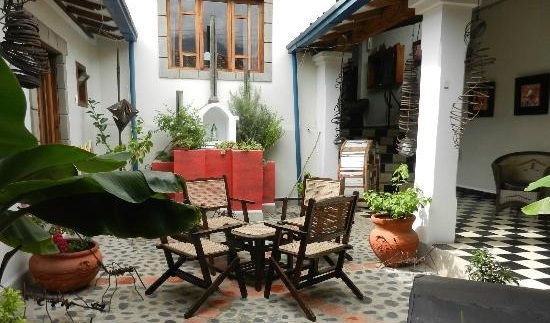 Merida has an excellent range of hotels, pousadas and hostels to suit all budgets with many of the best clustered at the top of Avenida 4 Simon Bolivar street or within easy walking distance around Parque las Heroines. We tried two different pousadas in Merida during our week-long stay (Casa Sol and Los Bucares) and we’d recommend both for their tidy, stylish double rooms with en-suites, free Wi-Fi and cosy communal areas for reading and relaxing. 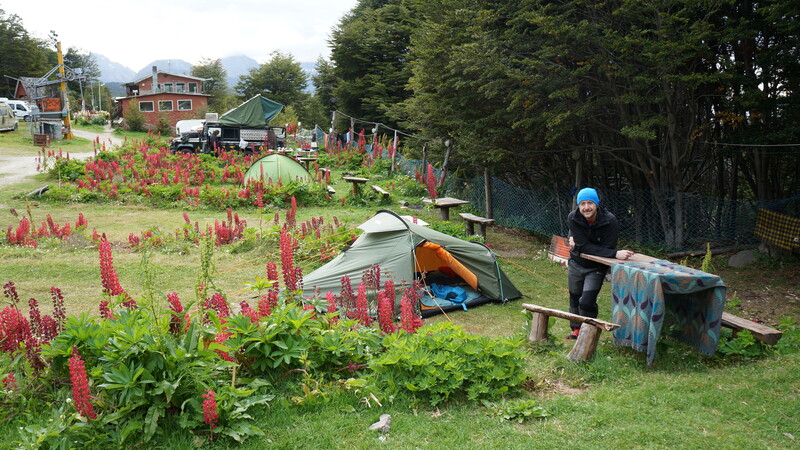 In Ushuaia, to keep costs down and because Argentina has a fantastic network of independent campsites around the country, we choose to stay at the much talked about and recommended Camping La Pista del Andino. The site was around 3 kilometres from the centre but walkable in 30 minutes. The site sits at the bottom of a ski run with views out across the city and down to the Beagle Channel and the grassy pitches were spacious, each even came with its own fire pit. The gardens in March were filled with giant, colourful Loopins. There were good cooking facilities and a social bar. One of our favourite memories of this campsite was arriving in the twilight and attempting for the first time to erect our new tent that we’d purchased before leaving the UK. The marketing spin on the tent that had persuaded us to part with our money was that the boy scouts could erect the tent in 7 minutes flat so we’d thought “perfect – how hard could it be?” 53 minutes and a couple of small arguments later, there it was in all its glory, but the final blow as we went to register was the owner asked if we’d been sleeping as it had taken so long! If any of you are wondering…we’ve got it down to about 12 minutes now but we doubt we’ll ever beat those nimble fingered scouts! 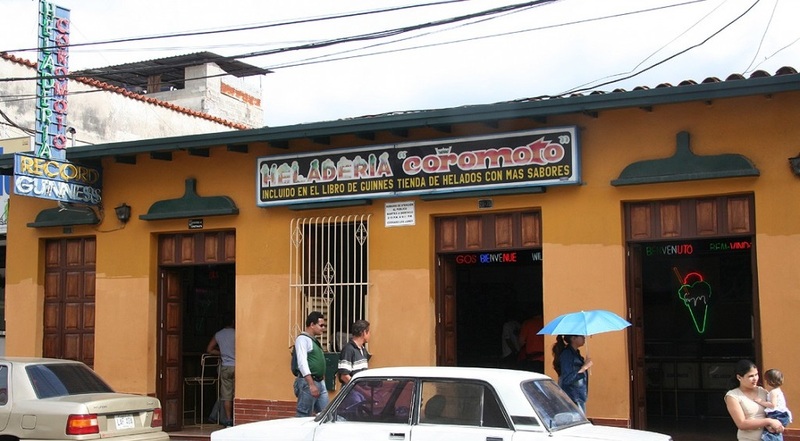 The restaurants in Merida are notably some of the finest in the country. A large student scene and its popularity with tourists has helped to forge a very vibrant scene in the evenings. Several casual eateries serve Arepas, hamburgers and roast chicken for quick and tasty eats before heading out to see a live band or strut your stuff at a salsa club. For a good sit down dinner, the region’s speciality of trout is a ‘must try’ and best served baked with butter and herbs. There’s also a great choice of Italian influenced restaurants serving mouth-watering pizza and pasta. A great set lunch can be found at Restaurant Vegetariano El Sano Gloton for as little as $1.50 USD for 2 courses! 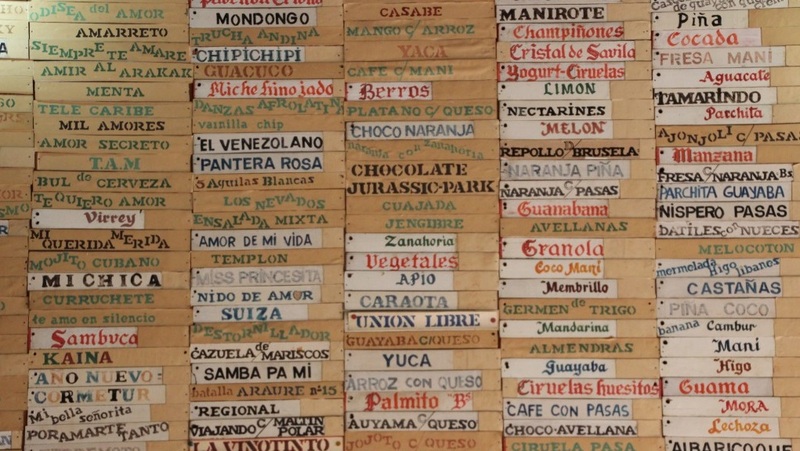 Coromoto ice cream shop is famous throughout the city for its world record-breaking number of flavours – around 800! Little wooden plaques list some of the delights including kiwi fruit, strawberry cheesecake and chocolate fudge brownie, and the downright dreadful include liver, squid, cheese and beetroot. There are free tastings before you buy so pick wisely! 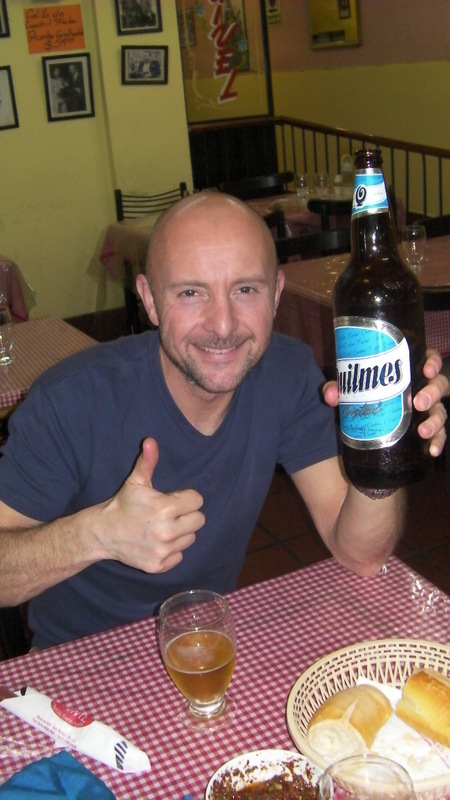 If you ask anyone what would typically be served on an Argentinian menu the answer would be a large juicy steak with a glass of Malbec red wine or the national beer, Quilmes, and in Ushuaia this is certainly the case. For its size, there is an excellent choice to suit all budgets but one thing’s for sure, once you smell that charcoal grilled meat, you won’t be able to say no. 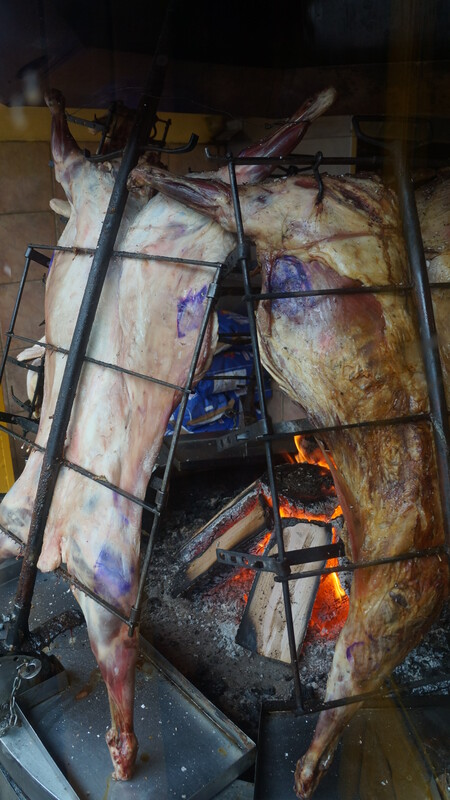 The most popular restaurants make a big thing of grilling the meat and have huge fire pits built at the front of the restaurant where carcasses are hung and slowly cooked until the meat falls off the bone. 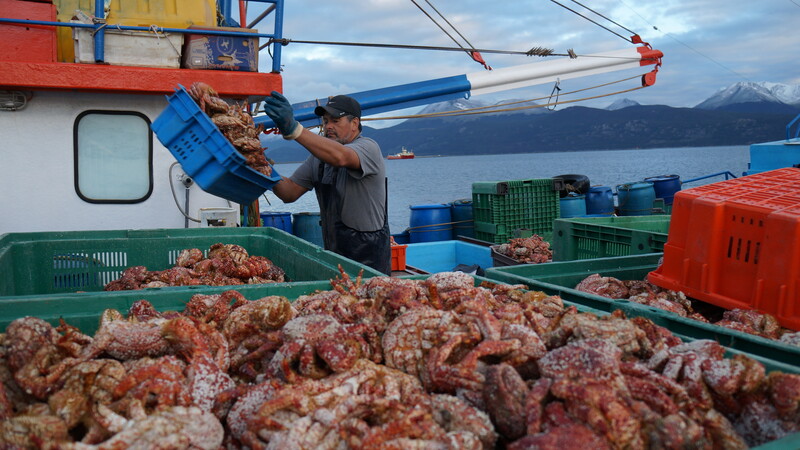 Another delicacy for seafood lovers to try whilst in Ushuaia is King Crab. It may look like an alien but it tastes heavenly and as it’s hauled in fresh from small fishing boats each morning, it doesn’t get any fresher. Some of the seafood restaurants can cost a small fortune but our recommendation is La Cantina Fueguina de Freddy offering great seafood at reasonable prices. Merida and Ushuaia are both incredible cities. Separated by 7,242 kilometres of Andean mountains, they maintain distinct identities but share an undeniable connection to their surroundings – stunning mountain scenery, a friendly welcome, access to adventure sports, great cuisine and vibrant culture and nightlife. If you weren’t already convinced to check them out, we hope we’ve offered a few reasons as to why Merida and Ushuaia should be added to every South American travel itinerary. Both Ushuaia and Merida look amazing. Sadly I’d never heard of either until now, but wow they both seem like my kind of place! I still can’t get over how cheaply you were able to live by exchanging dollars on the black market. I’ve always wanted to travel to Argentina, but the high cost always steered me away from it. I’d never thought of exchanging money on the black market there. The fact that their economy isn’t doing well makes me sad, but it looks like now is the time to go! We’d never heard of them either until we landed in South America and started our epic journey. 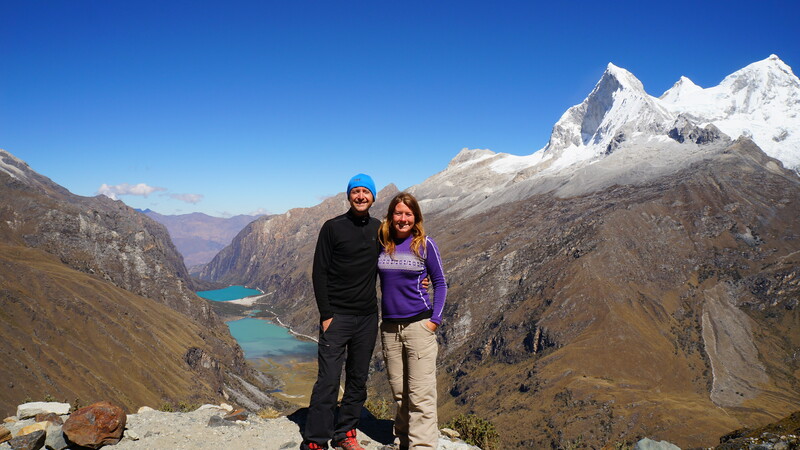 We really enjoyed both places and it felt very special to arrive into Merida after travelling the whole length of the Andes in around 8 months. It’s wise to take precautions if you’re planning to use the black market but it’s great, as a budget conscious backpacker, to be able to splurge for once on a restaurant meal, a bottle of wine (rather than a carton!) or an organised activity. It both cases, it’s a great time to visit these cool cities.